We Love Pop Love Songs! I recently had the opportunity to work with a client on an album cover for an anthology of classic love songs. 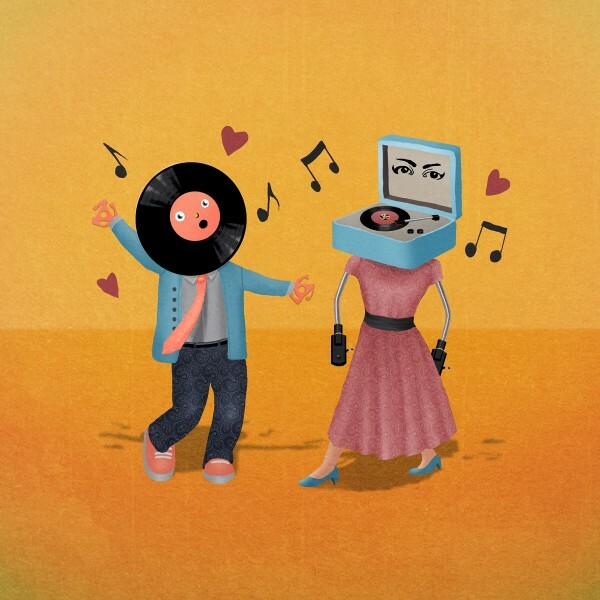 I had a great time creating the LP man dancing with his Record Player lady friend. Read more about… We Love Pop Love Songs! I am an illustrator working out of New York City. Within my art, I explore the uniqueness of identity, the magic of childhood, and the unnerving relationship between fantasy and h… Show more. Send a message directly to Jorge-Luis Mendez.